I have two hard drives on my laptop. One has 1tb with windows 10 and the other is 500gb (which I took from an old laptop) with fedora 29. When I went into the disk usage analyzer (DUA) on Fedora 29 I noticed that it said I had 40.7gb/52.6gb available ,despite the fact the hard drive was 500gb. I booted into Windows to format the hard drive and made sure that the drive was formatted properly. After that, I then reinstalled the Fedora 29 on to the 500gb hard drive. After I reinstalled the operating system, the DUA still said it had 52.6gb. What was even more weird was that when I went into gParted to check the drive partitions, the partition with the lvm2 file system (which is 464.57 Gib) was all yellowed out. Is there a way that I can store a reasonable amount of space on the 500gb hard drive with Fedora? 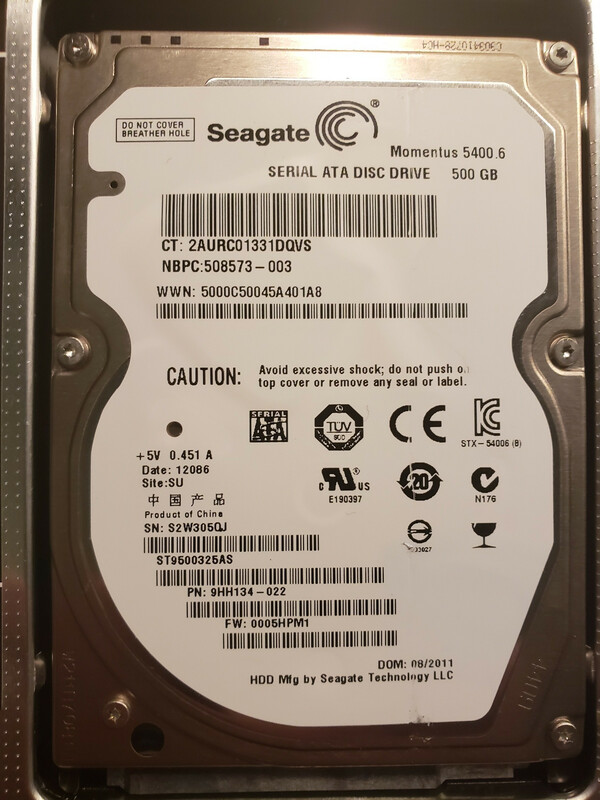 I formatted the drive and it says that the free space is 465gb also I'm not too sure which number is the model so here is a photo of the hard drive. I think it is WWN:5000C50045A401A8 but I'm not too sure. I also checked to see if the Hard Drive had any bad sectors with Defraggler and the program said that the disk is in good health. You will see where your ~450 GB is. sdb1 only uses 18MB, and giving it 200MB is overkill. Next time, I'd give sdb1 only about 50MB. sdb2 uses 246MB and has 754 MB free. sdb3 is partitioned with lvm. I suggest you run vgdisplay to see how its space is used. And, since an eight year old consumer HDD is a failure waiting to happen, I would suggest you replace it; a much faster and very well respected SSD is only $78 at Amazon. You will also get longer battery life as well as faster Linux response time. Not the answer you're looking for? Browse other questions tagged fedora partition hard-disk storage gparted or ask your own question. How to partition my hard-drive to be used for dual OS? Expanding a hard drive partition to fill the drive without wiping the partition?